Extended product life is the foundation of our products and customer sustainability initiatives. By working to extend the life of our products, Welbilt reduces the demand for raw materials and energy consumed when new products are manufactured, packaged, and shipped. We've incorporated guidelines for use of sustainable and environmentally-friendly materials into our new product introduction process, along with similar guidelines for energy and water saving. This discipline helps us to maintain rigorous focus on these important initiatives as we design products for the future. As a result, we are incorporating more environmentally friendly materials into our design. Welbilt will continue to partner with government agencies and customers alike to develop products that meet our customers demands for lower operational costs and greater energy efficiency. Not all foodservice equipment has a category monitored by ENERGY STAR guidelines. Welbilt's EnerLogic® offers products that have been shown to reduce energy or resource costs based on third party assessment. To date, Welbilt manufactures products that comply with either ENERGY STAR or our own EnerLogic program. Helping operators reduce environmental footprint is a priority for Welbilt and its leading equipment brands. EnerLogic now encompass all aspects of the company's internal and external resource-conservation efforts including research and technology development, manufacturing process, employee recruitment and career development, and efforts supporting the industries and communities served by the company and its portfolio of leading brands. The following outlines specific and relevant ways each brand is helping the industry move toward a greener tomorrow. 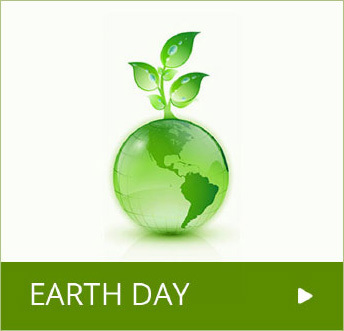 The first celebration of Earth Day was in 1970 and was due to the efforts of Senator Gaylord Nelson from Wisconsin who wanted to put a focus on environment and impact we have on it globally. More than 20 million Americans participated in the first Earth Day in 1970, ensuring the on-going support for environmental issues. Today, Earth Day is celebrated throughout the world, but it has also created an awareness of everyone's daily responsibility to the environment. Welbilt takes our responsibility to the environment, energy conservation and sustainability seriously. Our commitment to our partnership with ENERGY STAR® and the technological advancements it takes continue to grow our portfolio of ENERGY STAR-rated equipment. Currently not all restaurant equipment is ENERGY STAR rated, so we created the Welbilt EnerLogic® program to allow operators to understand and evaluate our equipment on how it will save them money through energy conservation. These are just a few of the ways in which we are committed to doing our part for the environment. not just on Earth Day, but every day. You can learn more about our ENERGY STAR and EnerLogic-rated equipment on our Sustainability website.